We’re always excited when a new brewery is unveiled in our environs. But Phantom Carriage, which opened this month, is bringing a serious dose of the wacky/awesome/spooky to our beer scene. First of all, Phantom Carriage is exclusively brewing sour beers at its Carson facility (be still my lactobacillus-laden heart). Sours are notoriously time-consuming and temperamental endeavors, so cheers to Phantom Carriage dudes Martin Svab and Simon Ford for harnessing the sour spirit. Second, Svab and Ford are not satisfied with simply using their Carson warehouse space to brew delicious sours and serve pub food (mostly sandwiches and small plates). The brewery also boasts a screening room where they hope to show classic horror movies. Vintage ghost-story fans will have already noted that the name of the brewery is an homage to a 1921 Swedish flick. Dinner, drinks, and spine-tingling old movies? Date night, anyone? If you’re not a sour fan (you probably hate freedom and puppies, too, hmmmmm? 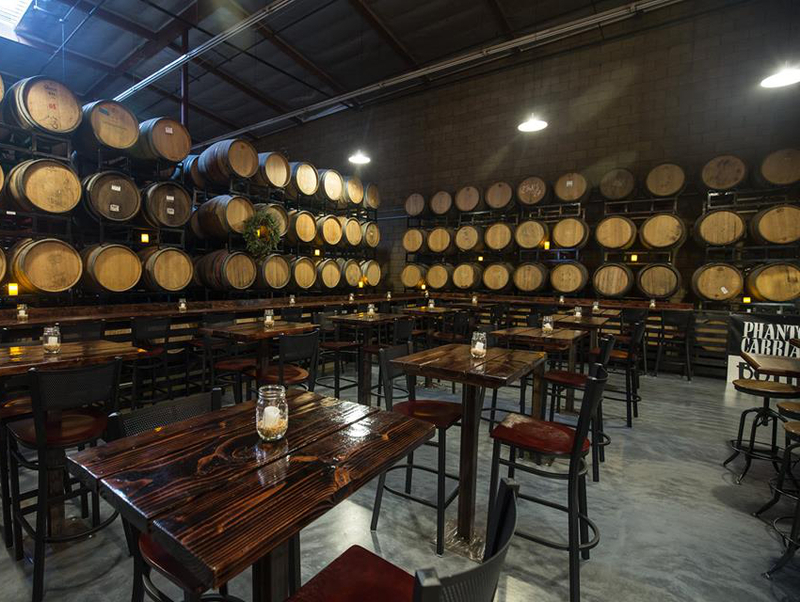 ), the brewery also offers a well-curated list of guest brews from local favorites like El Segundo Brewing and Noble Ale Works. Phantom Carriage is open Thursday through Sunday, and you can check out the hours here.